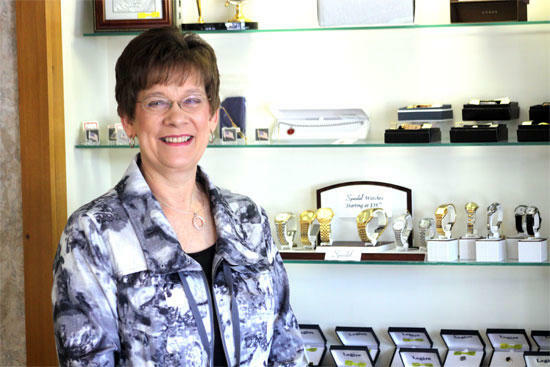 Joann Tate has been the “jewel” of Jennings Jewelers for over 35 years. Mother's Day is coming up fast. Do you know what you're going to get Mom to show her how much you appreciate everything she's done for you? When you were a kid, you'd give her whatever finger-painting or homemade card they had you make in art class. She'd stick it on the fridge and beam with pride, knowing that her kid had given her something to thank her for being a great mom (even if the teacher made you do it). Now that you're a little older, it's time to get Mom something she really wants for her special day. And let's face it, ladies love the jewels. It's not so much the cost of the jewelry that makes the gift special to her, but being able to proudly say, "Oh, Billy got me this for Mother's Day," whenever her friends may ask. When you're searching for that perfect piece of jewelry that Mom will just love, you'll be missing out if you don't pay a visit to Jennings Jewelers. Located on the south side of the square in Woodbury, Jennings has been catering to the needs of local customers for nearly 60 years. I spoke with Joann Tate, who's been with the company for over 35 years and owned it since 1996, about her passion for jewelry, some market trends, and how to find the perfect piece for Mother's Day. Joann started with Jennings in March of 1975 and has watched the business both grow and shrink. She and her husband bought the Woodbury location in 1996 to keep it alive, making sure that Cannon County residents had a hometown jeweler that could provide personal service and quality jewelry at an affordable price. In her store, you will find a wide array of items – from traditional diamonds and gemstones to fresh-water and cultured pearls to top-of-the-line Citizen watches, along with a large selection of sterling silver items. She prides herself on her "no-hassle guarantee", saying, "If it doesn't fit, we'll make it right, or if she doesn't like it, we'll exchange it." To Joann, she's not selling you a piece of jewelry, she's "selling a piece of love." Being the only jeweler in town, Jennings doesn't have much local competition. Unfortunately, however, many people buy jewelry on-line or from big retailers because they're convinced they're saving a ton of money. When you buy a gift on Ebay or from an on-line retail outlet, you can never be sure you're getting what you paid for. The closest you can get to customer service is a friendly e-mail. You've only seen photos of what you're spending your hard-earned money on, and you anxiously await its arrival to make sure that gift is just right. And trust me, even though I'm all for bargain shopping, no woman wants to be reminded how frugal you are every time she looks down at her finger. If you're skeptical about doing business on a computer, maybe you think the only option available is to buy your gift from a big-chain retail store. Somehow, marketing schemes have convinced us that Jared, Kay, and Tiffany are our friends. They're the experts, and their stores are the only place to purchase the best quality jewelry. Wrong. The money they've spent marketing and branding their products gets passed on to you, the consumer. As a result, you're not paying for top-notch jewelry. You're paying for annoying advertisements. Go to Jennings and compare quality and prices. Get what you're paying for. Joann showed me several pieces that she believes will be popular gift items this Mother's Day. She explained that sterling-silver and diamonds have replaced gold as the current trend, and expects to sell a lot more of those for this particular holiday. Though they're smaller than a big retailer, Jennings has a large variety of items, so finding the perfect piece for Mom should be quite easy, whatever her particular taste may be. Jennings will be holding a store-wide sale, starting the Thursday before Mother's Day, and offering "Mother's Day specials galore." You can even visit the store and register your mom to win a special gift. You're going to be buying something nice for Mom. She deserves the best. Why not see what Jennings has to offer? You'll be getting personal service, top-quality jewelry, and your purchase will help stimulate the local economy. Oh, and if Grandpa's old watch or that heirloom ring needs some work, Jennings offers jewelry repair as well. Jennings Jewelers is located at 215 W. Main St. in Woodbury. 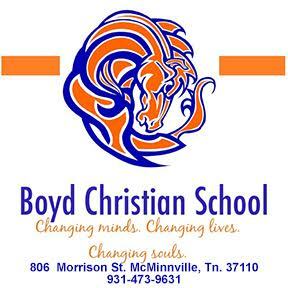 Stop by or give them a call at (615) 563-2421. Mom sure would appreciate it.